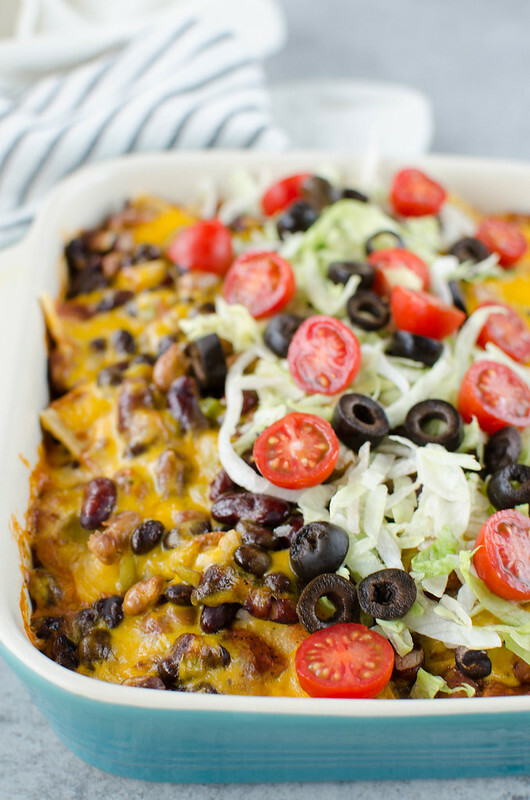 Three Bean Enchilada Casserole – black beans, pinto beans, and kidney beans layered with corn tortillas, enchilada sauce, and cheese. An easy meatless meal the whole family will love! We had soccer all day Saturday (one win and one devastating 11-0 loss) and then I started The Act on Hulu. Then I obviously had to watch every single documentary about the crime the show is based on. Which lead to a Disappeared marathon and now it’s Monday morning.